Heathrow Rewards, the Heathrow Airport shopping loyalty scheme, has an interesting partnership with hotel booking site Rocketmiles which can earn you 2,000+ easy Avios or other airline miles. Rocketmiles – if you are not familiar with it – is a similar website to PointsHound, Agoda and Kaligo.com. You can earn airline miles and other loyalty points in a wide variety of schemes when you book your hotel stays via rocketmiles.com. The one downside of Rocketmiles is that your stays will be treated as ‘non-qualifying’ by the hotel. This means that you won’t earn points in the hotel’s own loyalty programme and you probably won’t get your status benefits either. Rocketmiles, Kaligo.com etc are best used when booking a stay at an independent hotel or at one where you don’t actively collect their points. Before I get to this new deal, let me repeat why I like this partnership. Why is this new Heathrow Rewards partnership interesting? Usually, when you earn miles via Rocketmiles, they are sent directly to the partner of your choice – Avios, Virgin Flying Club, Etihad Guest etc. 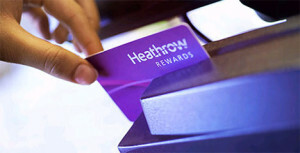 However, if you credit to Heathrow Rewards instead you will get substantial extra flexibility. …. and you could even mix and match across the various redemptions. You can leave your points sitting in Heathrow Rewards until you are firm about where you need them. Even if your only interest from Rocketmiles is earning Avios, it may well make more sense to credit your stays to Heathrow Rewards and wait for a transfer bonus. If there is no bonus, you can still convert at the standard rate and you aren’t any worse off. You can learn more about the partnership on the Heathrow Rewards website. Via this special link, you will earn 2,000 bonus Heathrow Rewards points, on top of your base Heathrow Rewards points, when you make your first booking through Rocketmiles. Note that this offer is NOT valid for Premium member of Heathrow Rewards or for existing Rocketmiles customers. You have until 22nd April to book and the stay can be at any point in the future. There is no minimum spend. Think this through. You will pick up 2,000+ Heathrow Rewards points which – at the very worst – you can, at a time of your choice, move into either 2,000 Avios, Virgin, Lufthansa, Singapore Airlines, Royal Brunei, Aegean or Emirates miles. You could also take a £20 Heathrow shopping voucher or a £40 Heathrow parking voucher. However ….. if Heathrow Rewards keeps running transfer bonuses ….. you would get somewhere between (as a minimum) 3,000 and 4,000 airline miles depending on the size of the bonus when you transfer! Alternatively, if they repeat the ‘100% bonus on conversions to Heathrow shopping vouchers’ offer, your 2,000 points would be worth £40 to spend at Heathrow. And, with no minimum spend, you could do this on a £50 hotel room if you can find one. Even without a transfer bonus, you could redeem the points for a £40 Heathrow Airport Parking voucher and almost break even. The special booking site is here. Remember that you must be a first time Rocketmiles customer. Which sorts of IHG Rewards Club points count for status, and which don't? Looks like I’ve just bagged 500 HR points for 27p. Bargainous. And, if the 2,000 HR Bonus points actually come to fruition then it’s quintuply bargainous. Assuming no value on Accor points / avios through a direct booking.